Home of the world famous Calgary Stampede, one of the largest rodeos in the world, this city that was borne from a small railway and cattle town has grown to one of the largest centers of commerce in Western Canada. Now, Calgary is filled with jogging and walking trails all over the city, has a famous Zoo, more than a few wildlife preservation parks and preserves, Equestrian training centers, Olympic training venues, as well as its own Calgary Symphony Orchestra. Calgary Tower provides views of the city 626 feet above the ground, and houses souvenir shops, viewing decks and a restaurant that rotates 360 degrees every 45 minutes. There are only two structures in Calgary that are taller. When it was built in 1967, it was twice as tall as the closest building in town. At the very top of the tower is a gas burning cauldron that is lit for Canada Day, and was burning continuously during the Winter Olympics in 2010. Calgary’s principal businesses are petro-chemical and agriculture. The Canadian Pacific Railway is still a big part of the Calgary economy and they moved their corporate headquarters there in the 1990s. Hi-Tech manufacturing is growing fast in the city, along with tourism. In 2007, Forbes magazine named Calgary the cleanest city in the world and the Mercer Quality of Life Survey consistently rates Calgary very highly. 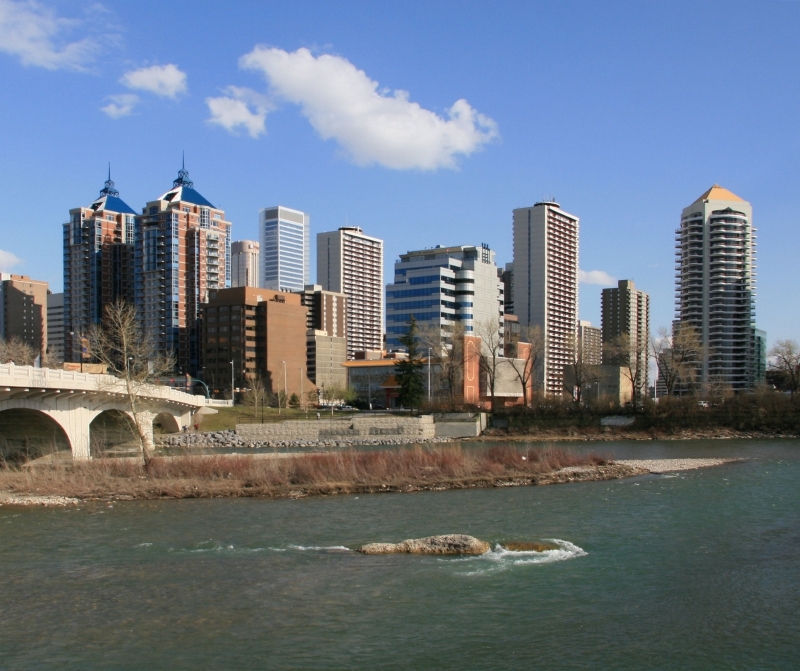 The Economist Intelligence Unit named Calgary the 5th best place to live in the world. Over 3.1 million people visit Calgary every year. Many use Calgary as the gateway to the eastern Canadian Rockies, providing access to resorts like Banff, Mt. Norquay, Lake Louise and its famous chalet and glacier, as well as all points east and west on the Trans-Canadian Highway. Desert Jet can fly you between Calgary Airport (IATA: YYC, ICAO: CYYC) and Palm Springs area airports in less than 2 ½ hours in our non-stop private Citation jets. Book your Canadian adventure today!